The content te be published within the website can be created with professional editing environment (LibreOffice, MS Office, Office 365), to create rich content. The content will be converted to XML by the CMS, regardless to heterogeous document styling, and published with homogeneous styling. Pieces of content can be html, using the Bootstrap syntax. 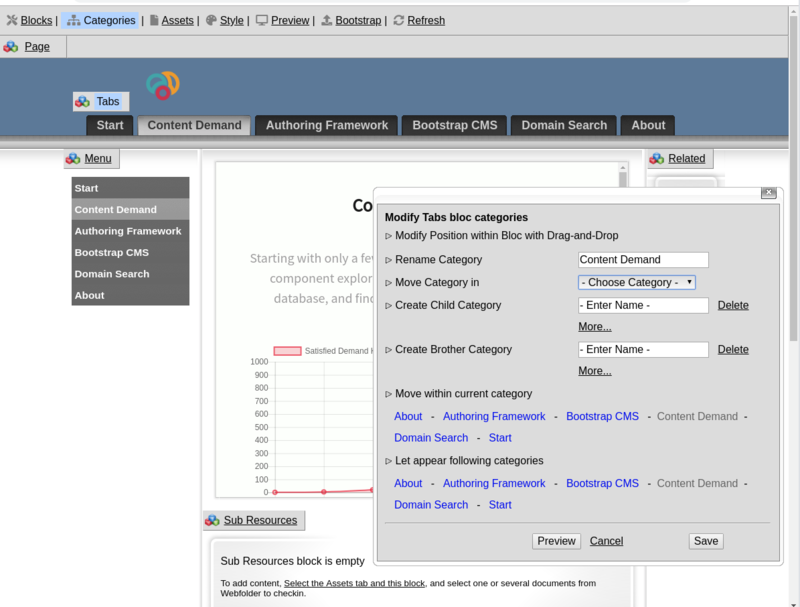 All website configuration, categorization, asset fetching and styling goes through a Wysiwyg interface. From simple ti very complex website, without annoying interface, template handling, coding, etc.